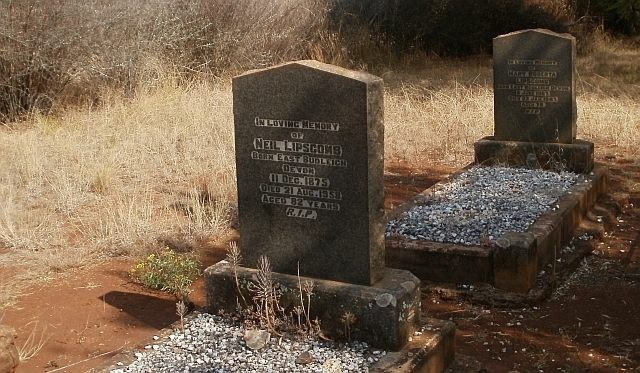 When we were on holiday recently we stopped at Paulpietersburg to visit my grandfather’s grave. It is unmarked, but I know where it is, because back in 1977, when we were living in Utrecht, we went with my mother to Paulpietersburg. When we got there we had lunch in the hotel. Then we went to the municipal offices, and asked if they had a plan of the graves in the cemetery, and the man who was probably the parks and gardens department came along to the cemetery with us, bringing the town traffic cop with him, and together we located the grave of my grandfather, Percy Wynn Hayes. He was buried next to Dr Lipscomb, who had treated him in his last illness, and was a great buddy of his, coming from Devon. Mum said that when they came for his funeral, they said he and a lot of old men used to meet and put their stamp collections together. We returned via Bivane and Viljoenspos, after going up the mountain to look at the Dumbe mine. We asked to look at the staff records, but the office was closed by the time we got there. Paulpietersburg cemetery: Percy Hayes’s grave is just to the left of the two Lipscomb graves in the picture, which belong to Dr Lipscomb and his wife (who died a few months before my grandfather). 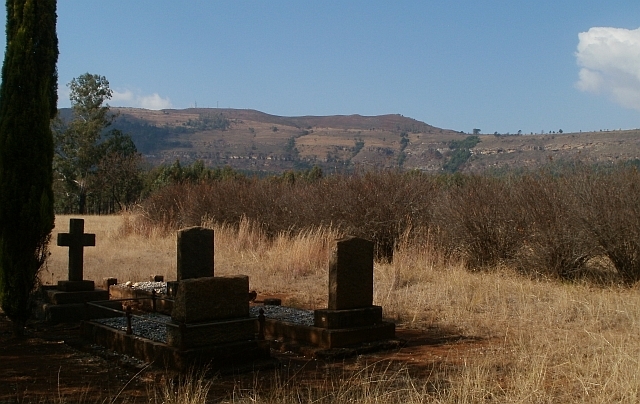 Percy Hayes died on 6 May 1948, and I remember travelling to his funeral from Ingogo via Utrecht and Vryheid. I was 7 years old at the time. We asked about the location of his grave nearly 30 years later, and that seemed an impossibly long time ago. Yet 1977 is now longer ago than 1948 was back then. Paulpietersburg is at the foot of the Dumbe mountain, and Percy Hayes was mine secretary of the Dumbe Colliery there. In earlier years, between the Anglo-Boer War and the Second World War, he had been a stockbroker in Johannesburg. There is more information about him on our Family Wiki here. One of the minor mysteries of this branch of the family is where the name Wynn came from. My mother told me it was an old family name, and very important. My father, Frank Hayes, and his sisters Vera and Doreen all had Wynn as a middle name. So did Percy — when he died. My father, when he died in 1989, had even taken to hyphenating it, and called himself Frank Wynn-Hayes. But on his birth certificate Percy Hayes is listed as plain Percy Hayes. He was born in Bedminster, Bristol, England on 4 August 1874, and I’ve been looking, so far without success, for his baptism in Bedminster or Bristol churches. Not that it will help much, because English Anglican baptism registers, unlike South African ones, do not record the names of the sponsors (godparents). I wonder if one of his godparents might have been named Wynn, or if it was someone he had encountered whom he particularly admired. Certainly we have not discovered any earlier member of the family who bears that name. 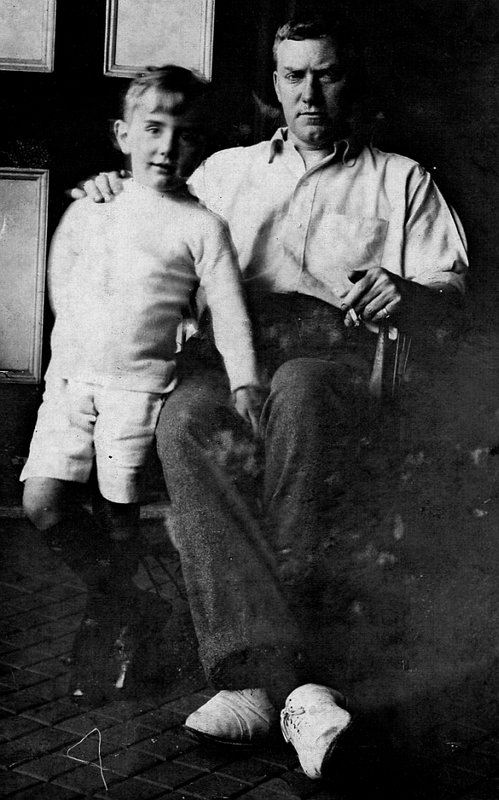 He grew up in Axbridge, Somerset, where his parents ran the Red Lion Hotel, and came to South Africa shortly before the Second Anglo-Boer War (1899-1902).